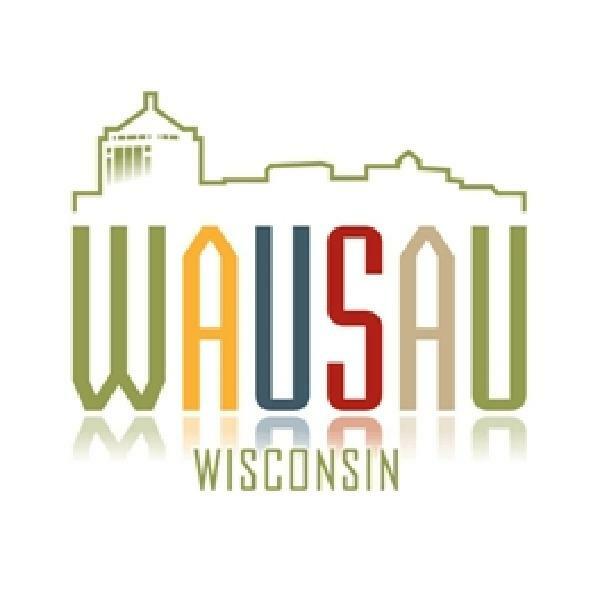 The City of Wausau adopted the City of Wausau Comprehensive Plan that met Wisconsin’s “Smart Growth” law on February 28, 2006 (City ordinance 61-5283) and has been in compliance since. Wausau Bird Club members meet monthly at various city and county parks during the summer. A walk is held and bird species are noted and counted. The city parks include Fern Island, Blue Gill Bay and Dells of the Eau Claire County Park. A DNR Marsh Bird Survey is conducted annually at Nine Mile County Recreational Area. In 2017 the club met at Garske park in addition to a walk at Blue Gill Bay Park to confirm a White Eyed Vireo seen earlier in the week. Once again in 2018 Wausau Bird Club held walks at area parks and results were submitted to ebird. A DNR marsh bird survery was conducted at 9-Mile County forest. At the Eastbay Soccer complex the 10 bluebird houses were again monitored and data submitted. Additional bird habitat is created through the planting of native species trees throughout the City of Wausau. For example, in 2013, the City of Wausau planted 578 trees while removing 514 poor quality trees including 120 Ash trees in preparation for Emerald Ash Borer management. Hackberry has been used as a common replacement tree due to its high value of shelter and food for native birds. Conifers have been mainly planted within the city parks. Amelanchier (Serviceberry), Viburnum, New Jersey Tea and too many more to list. The contractor’s list was checked against Birdscaping in the Midwest by Mariette Nowak. Many species being planted were listed as “high bird value” and several as “very high bird value” concerning food value. Others are listed by Nowak as attracting birds and butterflies. Wausau is currently renovating its Wisconsin River front. Wausau Bird Club worked with the park department to use as many native plantings as possible. “The public space along the Wisconsin River is the biggest, most elaborate parks project the city has seen in a lifetime” was the headline in the City Pages a local newspaper. Final planting including many native species was conducted at the Wisconsin River Front project in 2017. The Riverlife Phase 2 was done in 2018. Again many native species were planted. According to Greg Freix, Park Operation Superintendent, "the new Riverlife project underway in town ...has incorporated seldom mowed grass areas and some prairie areas." The Park Commission purchased 4 acres to add to the Dells of the Eau Claire county park. Golden Sands Resource Conservation & Development Council Inc., students from Wausau East High School, and volunteers joined forces on October 13, 2017 to battle against invasive shrubs on Fern Island, part of the beloved Oak Island complex in downtown Wausau. Once again on October 12, 2018 the GSRCDC organized students from Wausau East High School to remove buckthorn and honeysuckle from Fern and Oak Islands located in the Wisconsin River. The City of Wausau contains a segment of the Great Wisconsin Birding and Nature Trail. The Leigh Yawkey Woodson Art Museum is #33 on Page 32 of the brochure. Wausau Bird Club has a member on the Marathon County Forest Citizens’ Advisory Subcommittee of the Marathon County board of Supervisors representing bird watching. While being only an advisory group the County’s Supervisors are made aware of issues the various members groups they represent are interested in. Plus the subcommittee is charged at times with polling their group about issues the county forest administrator is concerned with. In 2017 the Wausau Bird Club and birding community worked with the County Forest Administrator on the issue of logging and Cerulean Warbler presence. In 2018 the Wausau Bird Club conducted a Cerulean Warbler surveyfor the forestry department using DNR criteria to determine if the warbler was in an area designated to be cut. The Cerulean Warbler was not detected in the cut area but in another several Hooded Warblers were seen and heard. Their presence was reported to the Marathon County Forest Administrator. The Riverlife project is restoring a large area along the Wisconsin River. The city of Wausau has granted an exemption to Tribute Golf Course to allow the planting of native grasses and wildflowers on the course. The Park Department has purchased an additional 6.2 acres adjacent to the Eau Claire River Conservancy and Sports Complex created on the former Holtz-Krause Landfill. Tribute Golf course has obtained an exemption to the mowing ordinance. They have let areas go natural by adding native plantings and by not mowing. See the two aerial photos showing the extra restored habitat. The course also has a bluebird trail. Monk Botanical Gardens purchased 8 additional acres and are revising their Master Plan to decide how best to restore this new addition. In 2017, on the city's website a link was placed to help the public learn about the Emerald Ash Borer. 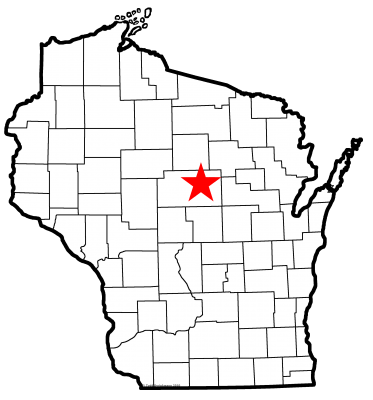 The insect was officially found in Marathon county in 2017. An article on the Emerald Ash Borer was featured in the City Pages, a free weekly newspaper, December 7-14, 2017. The article alerted the public to the plans the city has made to combat this problem. On July 11, 2018 "The Top 10 Tree Diseases" was presented in the city of Wausau. The event was sponsored by the Northcentral Wisconsin Master Gardener Association members. At Garden Visions 2018 Paul Whitaker, Professor of Biology at UW-SP at Wausau presented "Taming the Savage Beast Invasive Plants" to all attendees. Later in the day he did a workshop entitled "Weeds-Identification, Life Histories and Control." He gave this same talk at the Monk Botanical Gardens WMBD celebration. In 2017, Wausau again hosted the Golden Sands Environmental Group’s Invasive Species Workshop and conducted removal work days at Fern Island and Riverside Parks. 2018 again saw a Golden Sands work day to remove invasive plant species and Fern and Oak Islands. The Wausau Bird Club constructed two Chimney Swift towers. One was placed at REGI in Antigo and the other will be placed by the Aldo Leopold Audubon Society in Stevens Point. The Wausau Bird Club in the summer of 2015 constructed another Chimney Swift tower and erected at the Robert W. Monk Botanical Gardens. The club continues to monitor each of its chimneys along with clean out. Wausau Bird Club has made several Prothonotary Warbler nest boxes and monitors them continuously. Two were placed along the Eau Claire River on the Holtz-Krause property and two along the Wisconsin River. To date no birds have moved this far north but we are ready. In 2017 one of the Prothonotary Warbler boxes was moved to the Mead Wildlife area. Prothonotary Warblers were seen in the area and when the boxes are checked this winter we will see if they used the box. No Chimney Swifts found in our annual 2018 inspection of our tower at the Monk Botanical Gardens. Work began on designing a sign explaining everything Chimney Swifts to erect in front of the tower. In 2014, The City of Wausau is engaged in a Purple Martin project at Everest Park in Wausau. Two houses were erected in 2010, and are continually monitored by the club and the public. The City is considering relocating one of the two houses but both will continue to be used. In 2017 one Martin house was taken down and repaired. It was then relocated by the city and Wausau Bird Club to Blue Gill Bay Park. The Wausau Bird Club continues to monitor the houses. 2018 again had Wausau Bird Club monitoring the two Purple Martin houses. To date we still have not had any martins. Two Wood Duck boxes were purchased by the Wausau Bird Club and placed in the Eau Claire River Conservancy. In the summer of 2016, 10 Bluebird houses were installed at the new soccer complex. They will continue to be monitored. In 2018 monitoring of all bird houses in the community continued. Repairs were made to many. In addition, the Wausau Bird Club cut out 30 nest boxes: 10 bluebird, 10 chickadee/house wren and 10 wood duck. The club met with Cub Scout Pack 439 to assemble the boxes. A presentation was given to explain the value of nesting boxes and to introduce the species the boxes might attract to the group. Each boy got to choose either a wren box or blue bird house to install in their yard. Some of the wood duck houses were placed in appropriate locations in the area. Greenwood Hills Golf Course hosts a Bluebird trail. The trail is managed by Tom and Sue Beckett. The trail on the course contains 40 houses, but 52 houses are monitored within the City. The results are submitted to the Bluebird Restoration Association of Wisconsin. Tribute Golf course has obtained an exemption to the mowing ordinance. They have let areas go natural by adding native plantings and by not mowing. See the two aerial photos showing the extra restored habitat. The course also has a bluebird trail. In 2018, Wausau Bird Club became aware that Wausau Country Club is a "Certified Audubon Cooperative Sanctuary." Bitzke Bird walk maintained by the Marathon County Parks and Recreation department is a birding trail with signage. Cortney Schaefer, DNR Wildlife Biologist works with the Marathon County Forest Department on maintaining this sight. The City of Wausau continues to be recognized as a Tree City USA by the Arbor Day Foundation following its initial award in 1981. This makes Wausau one of the longest running participants in the state of Wisconsin. Greg Freix, park operations superintendent has reported that there is not a "hard policy" on mowing. He further says that the parks have many uses but "there are usually edge or buffer areas of woods or grasslands which we do not routinely maintain. These areas provide a consistent habitat for urban wildlife. Some ditch mowing on roadways and trails is done routinely in designeated areas but most on an 'as needed' basis (again for wood vegetation control) and is completed in late fall or early winter." Wausau Bird Club purchases “Cats, Birds, and You” flyers from the American Birding Conservancy. The flyers have been placed at the Marathon County Humane Society, VCA (Vet clinic), Wisconsin Valley Vet Services and Wausau Mobile Pet Hospital. The flyers are placed in new cat owner folders. The feeling is that if you know the value of keeping your cat/kitten indoors you will start and continue this good practice. Monitoring and replacement of the flyers is done annually by the Wausau Bird Club. In 2017 an additional five veterninary clinics were supplied with "Cats, Birds and You" flyers along with instructions on usage by the Wausau Bird Club. Efforts continue to address the Trap, Neuter, Return program which was enacted in Wausau. A member of Wausau Bird Club attended a presentation by Peter Marra, author of Cat Wars. Monitoring of the Cat flyers continued in 2018. On Wausau Bird Club's website www.wausaubirdclub.com there is a link to American Bird Conservancy's Bird Collison information. C. Show that your municipality practices Integrated Pest Management, using natural pest control and the best available science to minimize pesticide and herbicide use. The city of Wausau uses Integrated Pest Management practices when practical. At the Eastbay Sports Complex natural weed control is used to ensure the safety of the atheletes. Another example was used in 2017 on a planting of Asiatic lillies. Grubs were seen on the plants and an oil was used to control instead of an insecticide. All of the employees that use pesticides are certified pesticide applicators so they have been educated in safe practices. Dark sky friendly lighting serves several purposes. It reduces light pollution, saves energy, and protects wildlife by helping maintain normal nocturnal conditions. One specific nocturnal condition that affects birds is the impact light pollution has on the ability of birds to see stars needed for migration purposes. The Wausau and Marathon County Parks Recreation and Forestry Department have adopted the practice of utilizing dark sky friendly outdoor light fixtures when possible on new lighting installations and when retrofitting existing systems. To date they have implemented the practice for roadway, parking lot and walkway lighting in several parks and on the majority of the River Edge Trail which borders the Wisconsin River in the heart of the city. The Wausau Department of Public Works is considering adopting the practice and has implemented dark sky friendly lighting on a number of main arterial streets to study performance and cost factors. These steps are leading to internal policies and potentially an ordinance requiring the use of dark sky friendly lighting in business and commercial developments. Through the City’s planning and permitting process they have been successful in achieving voluntary use of dark sky friendly fixtures in a number of new private developments including two auto dealerships and a gas station/convenience store/fast food outlet/carwash facility. Additional dark sky lighting was installed on Grand Avenue during road reconstruction. During construction of County Hwy’s U and K dark sky lighting was erected. In 2016, Wausau installed ROAM lighting which allows street lights to be dimmed when the volume of traffic lessens. This will help save energy and diminish light pollution. In 2017 on 2nd Avenue in Wausau additional Dark Sky Lighting was installed as the area was refurbished. Additional ROAM lighting was also installed in some neighborhoods. Eric Lindman, director of public works, reported that the City of Wausau in 2018 installed more Dark Sky Lighting along Thomas Street which was recently widened. Also more ROAM lighting was installed on 7th Street. These lights are all pre-programmed to shut off and not be on all night. The decorative lights in the downtown area look great but actually due to mirrors >90% of the light emitted is directed downward. The DC Everest School District has a nature center at its school forest. Students from the district attend Flying WILD programs at Twin Oaks Environmental Center. Monk Gardens and the Wausau Bird Club worked together in early June 2017 on Community Connections. This program brings elementary school children to the garden where the various activities include a nature walk, cooking in the kitchen garden, book time etc. In December 2017 children were invited to the Monk Gardens to make bird seed ornaments. This was a free activity. In 2018 Monk Botanical Gardens hired an educational coordinator. The number of nature programs for children given by her and her volunteers and interns was 140. These programs "will encourage you, your children and your family to spend time outdoors." See scans for more details. The Wausau Bird Club website has a link to the The National Audubon Society which has information on bird friendly habitat creation. The Wausau Bird Club has participated in the Christmas Bird Count since 1950. The club also annually conducts a Spring Count that traditionally has been held on the second Saturday of May as part of the club's celebration of International Migratory Bird Day. Members of the community also participate in the Great Backyard Bird Count. Local birders also have been active in citizen science by conducting a Marsh Bird survey in 9 Mile County Forest, participating in a Red-shouldered Hawk survey in Marathon County and in a breeding bird survey also conducted in the 9 Mile County Forest. Residents again participated in all of the above counts in 2017. 2018 once again found Wausau residents and the Wausau Bird Club involved in all of the above bird surverys. In addition a Cerulean Warbler survey was conducted at the Nine Mile County Forest. Annually the Leigh Yawkey Woodson Art Museum hosts Birds in Art, an international juried exhibition of bird art from September through November and includes many interactive programs for children. Members of the Wausau Bird Club take interested artists to local birding hotspots and artists visit the Raptor Education Group Inc. to see the work being done to rehabilitate raptors. Birds in Art was held September 8 through November 25, 2018 at the Leigh Yawkey Woodson Art Museum. Wausau Bird Club and their partner Monk Botanical Gardens worked together on multiple programs in 2017 involving school groups and the community. One program in July 2017 was StoryWalk held at the Monk Gardens. Wausau Bird Club sponsored a book called Spit and Sticks: A Chimney Full of Swifts. The books are put on stakes and the families walk through the gardens to read the book. Our book ended in front of our Chimney Swift tower. Members of the club were on hand to explain the tower and its value to the bird. Monk Botanical Gardens educational coordinator ran many programs in the Wausau School District to acquaint children on conservation methods. The city of Wausau's website proudly displays the Bird City link. The Wausau Bird Club celebrated its 25th anniversary in 2017. Wausau Bird Club has gotten listed in the Marathon County Recreation Guide so the public can find us. Wausau Bird Club applications and information sheets are located at various venues in the area. Wausau Bird Club has a link on the Marathon County website under the bird watching category. The Wausau Bird Club continues its part in the adopt-a-highway program. A three mile section of highway is cleaned adjacent to the Bitzke Bird Walk. Bitzke is part of the Watchable Wildlife program with signage to educate the public on the wildlife and birds. All of the field trips sponsored by the Wausau Bird Club are advertised by the Wausau Visitor Center and through other local media and are always open to the public. In 2014 our field trips helped educate participants on several Wisconsin threatened bird species: our camping trip to Kohler-Andrae State Park produced Hooded Warbler, our participation in the Prairie Chicken festival educates on the Greater Prairie Chicken, our winter trip to the Nicolet Forest has us looking for spruce grouse and many local birders were rewarded with sightings of a Yellow Crowned Night Heron on the Eau Claire River in eastern Marathon county. Wausau Bird Club has updated its bird checklist of Marathon County and printed the new version in 2016. Unfortunately, as soon as we went to print a Painted Redstart showed up in the county! So the checklists are already out of date! The checklist is available at the visitor center, the Park and Forestry building and at local retailers who sell bird feeding products. The Wausau Bird Club in 2017 again offered field trips in the area. Once again the Visitor Center featured a bird watching display in the lobby for the month of International Migratory Bird Day which is May. Also there is much interest in our FaceBook page: Wausau Area Birders and Bird Watchers. There are monitors policing the site, events are posted, bird identification questions answered and sightings posted. Over 400 people are members. In 2018 the Wausau Bird Club hosted seven bird walks that are advertised to the public. We place flyers in stores, advertise on Visitor Center calendar and list walks on the FB page. FB page membership has grown to over 550 members. L. Show that your community works with traditionally underserved communities to increase their access to natural areas, environmental education, birding resources, and local environmental experts. In 2018 the educational coodinator at Monk Botanical Gardens instituted environmental programs at the Boys and Girls of Wausau. The Gardens also educated through Community Connections which is run by the Wausau School District. According to Community Connections data collected 22 - 59% of participants receive free or reduced lunches. The Wausau Bird Club enters a team annually in the Great Wisconsin Birdathon. The "Wausau Bird Nerds" saw over 140 birds in last years event. 2018 saw the Wausau Bird Club team raising the most money ever. We will set our goal higher this year. Additional educational programs were presented in the community providing information on native landscaping, explaining the relationship between birds and forest management and backyard birding. See attachments for the complete list of 2017 activities. Garden Visions and Monk Botanical Gardens continue to offer prgrams to educate the public and kids on the important relationship between birds and their habitat. The Marathon Public Library offers many programs for all ages related to nature. "Natures's Niche Animal Program" was offered for free this past summer. Activities included "introduction to live animals, native habitat, and importance in our environment." Similar programs were also given at Rib Mountain State Park. One was on reptiles and REGI also gave a presentation. The city of Wausau approached CESA's Energy Mangement services. Utility bills and square footage of the buildings were obtained. Walk throughs of the city owned buildings to view equipment used were also completed. After all this pricess was done it "showed that it wasn't beneficial for us to work with the city at this time. Reasons because of the overall efficiency the city was operating at and the capabilities of the equipment wasn't much room for energy savings available." Wausau has been ranked "as the number 2 bike friendly city in the nation and number 1 small city. Refer to: https://cityratings.peopleforbikes.org/ https://peopleforbikes.org/blog/americas-five-best-small-cities-biking/ The plan that supports our green transportation commitment is: http://www.co.marathon.wi.us/Portals/0/Departments/CPZ/Documents/WausauMPO_BicyclePedestrianPlan.pdver=2015-12-01-134939-340. Wausau also has the River Edge Master Plan which will eventually connect a system of trails along the Wisconsin River to all other neighbors and business districts. http://www.ci.wausau.wi.us/Portals/0/Departments/Planning/Documents/remp.pdf See attachment for more green transportation iniatives. The city has started a sustainablilty, energy and environment committee to advise local government on these topics. Wausau has a solar energy group buy in which allows residents to purchase rooftop solar arrays at reduced costs. Wausau's wastewater treatment plant gets a significant amount of its energy from biogas that is captured on site from the municipal waste digesters. This information was supplied by Brad Sippel, AICP, Department of Planning, Community and Economic Development, City of Wausau. On Earth Day a celebration was held in Wausau's Marathon park. See scan for details on all the presentations. The city of Wausau is planning to relight the mall parking garage with LED lights to save money and energy. Over 50% kWh's will be used when the project is completed. Funding is being considered. On Saturday May 20, 2016, an International Migratory Bird Day celebratory bird walk was again held in conjunction with the Monk Garden’s plant sale and flea market. The early-morning bird walk, which was attended by the Mayor of Wausau, was led by members of the Wausau Bird Club at the Monk Gardens. This year bird tattoos and stickers were purchased and given to all children in attendance. Additionally, the Wausau Visitor Center again displayed bird watching flyers along with the IMBD 2016 poster. Another poster was also displayed at the Wausau City and Marathon County Park office. Wausau's IMBD 2017 celebration again involved an early morning bird walk. Discussion on protecting our birds here and on their wintering grounds took place. The event held at the Monk Gardens included the annual Green Saturday Plant Sale and Garden Flea Market. The event was held on May 20, 2017.